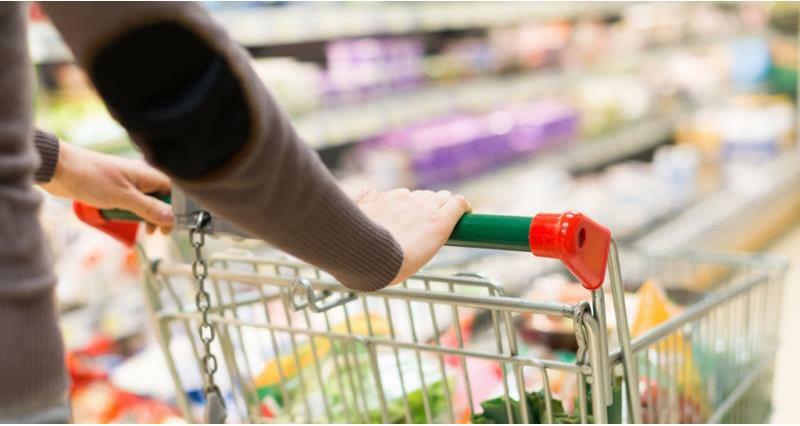 The amount Europeans spent on groceries rose by 4.4% in the final quarter of 2017 – the highest rise since early 2012, according to Nielsen retail performance data. This 4.4% increase in takings at the tills – across the 21 European countries measured – was due to shoppers buying 1.8% more items and paying 2.6% more per item than they did a year ago. The higher prices were a combination of price inflation and shoppers actively choosing more expensive goods. 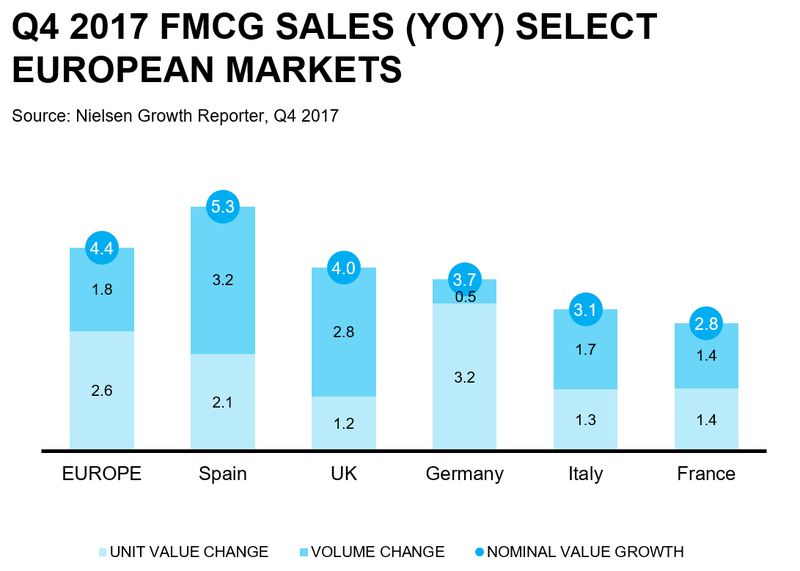 “After a few tough years, 2017 saw a dynamic economic environment across Europe with positive consumer confidence in the region and record highs in several countries,” said Olivier Deschamps, Senior Vice President Retailer Services Europe. “This contributed to a strong year for grocery retail, particularly impressive considering shoppers’ savings mindset such as looking for the best deals and a bigger preference for the discounters. Turkey had the highest year-on-year growth in takings at the tills (+16.8%), followed by Hungary (+8.2%) and Slovakia (+7.5%). In contrast, Switzerland (+1.6%), Finland (+1.7%) and Belgium (+1.8%) had the smallest growth.In comparison in the UK, the prices paid rose 1.2% while volumes rose 2.8%, meaning total grocery – or what the industry calls fast-moving consumer goods (FMCGs) – spend rose 4%. Thus, the UK ranked ninth of the 21 countries. 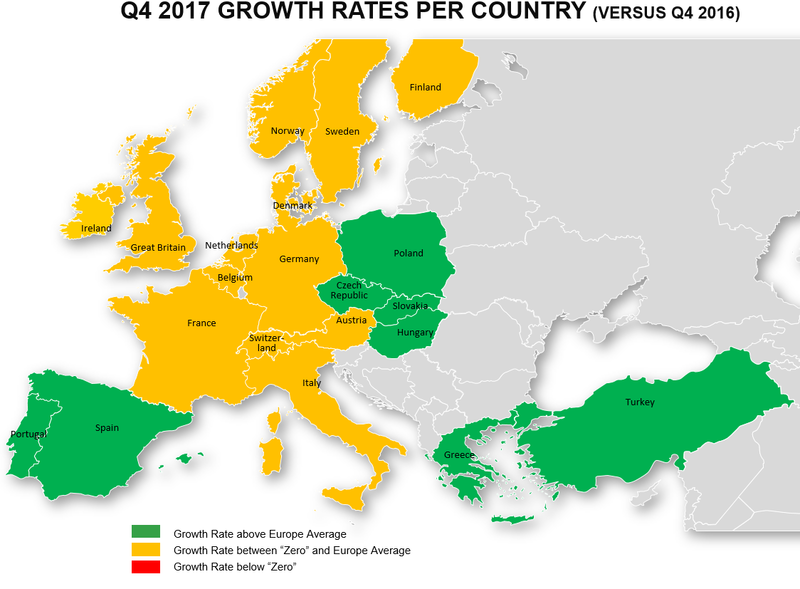 Spain’s growth rate (+5.3%) was the highest among the big five western European markets, followed by the UK (+4.0%), whilst France had the lowest growth among this group (+2.8%).